﻿Janet Jackson recently appeared on ABC's Nightline to discuss topics such as weight loss and body image. Jackson, 45, is a new spokeswoman for Nutrisystem, a weight loss program known for it's home delivered packaged foods. She refused to talk about numbers on the scale, but she focused on the goal of maintaining a healthy weight. Jackson discussed her struggles with a negative body image. She stated that her struggle began at a very early age. She was teased at home and she had to contend with the expectations set for her while on the set of Good Times. I have always thought that Janet Jackson is such a beautiful woman. It shocks me to hear her say that she has not viewed herself that way. True You is now in paperback and available at www.thequalitycorner.com. Steve Harvey's best-selling book, Act Like a Lady, Think Like a Man has been transformed into an ensemble comedy/drama that hits theaters this spring. "The idea of my first authoring endeavor being turned into a movie - that's a big jump, man. I don't know anybody who can plan that," Harvey told USA Today. The movie is directed by Tim Story (Barbershop) and it features an all-star cast. The cast includes Taraji P. Henson, Michael Ealy, Gabrielle Union, Meagan Good and Chris Brown. Steve Harvey is the narrator and also plays a role in the movie. Think Like a Man is scheduled to open March 9. With all the buzz about this film, I'm sure it will be an instant hit! Act Like a Lady, Think Like a Man is now available in paperback. Purchase your copy at www.thequalitycorner.com and read it before the movie comes out. 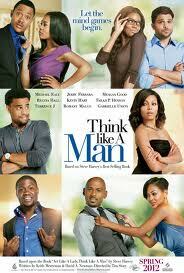 Read my review of Act Like a Lady, Think Like a Man here. Trees that talk and fly. Aliens and spaceships. A child’s imagination is endless. A Flight of Fancy is a delightful story that will fuel the imagination of young readers. The main character is an eleven-year-old boy by the name of George. He is a thoughtful young man that looks after his mother since his father was killed. Every morning, he wakes up early to check on his mother. One morning he goes into her room and looks out the window to find that all of the trees in the yard are gone. In fact, all the trees in the town of Arbordon are missing. George joins forces with his neighbor, Lisa. They are determined to find out what has happened to the trees. Thankfully, they find one weeping willow that can give them clues about the missing trees. George and Lisa are astounded that the willow can talk to them! Together, they set out on a quest to find the trees of Arbordon. George has suspicions that aliens may have taken the trees to a different planet. He vividly describes the aliens’ evil plan. George’s imagination is running wild. He will not rest until the mystery is solved. The clever and unique storyline of A Flight of Fancy is captivating. As I read through this book, I eagerly anticipated the mystery unfolding. Readers will enjoy this story from beginning to end. This book reminded me of the joy I felt when reading as a kid. I allowed myself to be a kid again and get completely lost in this fascinating journey. I am confident that all who read this charming book will be as enthralled as I was. 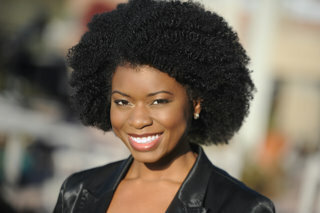 Kenya Brome is a fine New York actor. She showcases her talent as the reader of the audio version of A Flight of Fancy. She breathes life into this charming story. 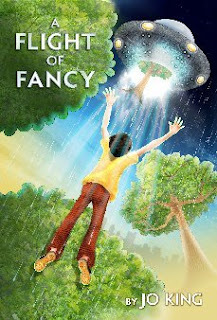 A Flight of Fancy is an imaginative tale about trees that have decided to take a vacation. Overnight, all of the trees in the town of Arbordon have disappeared. The main character is a young boy named George. He and his friend Lisa set out on a quest to find the missing trees. Kenya Brome skillfully depicts each character and allows the reader to see the story unfold. Using various accents and voice inflection, Brome distinguishes individual characters. The listener is able to easily discern one character from another. Her spirited, theatrical delivery brings the tale to life. Brome entrances the listener with her depth of feeling. She vividly portrays the disappointment George feels when he finds out that the trees are missing. The listener can feel the eagerness and excitement that George and Lisa experience as they investigate this great mystery. One tree is left in Arbordon – a weeping willow. This willow holds the key to unlocking the mystery of the missing trees. Brome represents this character extremely well. I chuckled every time I heard the willow weep. Young ones will be delighted as they listen to A Flight of Fancy. Children will be carried away and their imagination will run freely as they listen to the lively, realistic reading by Kenya Brome.